Tamil Nadu, the eleventh largest state in India, lies on the southeastern coast. With the second largest economy in the country, it’s rich in art and music. But this beautiful part of the world is in desperate need of consistent clean water. Though Tamil Nadu (TN) is 4% of India’s land mass and 6% of its population, it only has 2.5% of the nation’s water supply. A desert climate, sub-humid to semi-arid, TN is dependent on yearly monsoon rains to replenish its water sources. Often, monsoons fail to provide rain, causing severe water crises. The state capital of Chennai is currently suffering from such a crisis. There are many wells throughout the state, but they depend on electricity. Since TN is subject to frequent power outages, access to water in those wells is inconsistent. So many there are suffering, but the least of the least in this struggling part of the world are getting help, thanks to nonprofits like Embrace a Village. 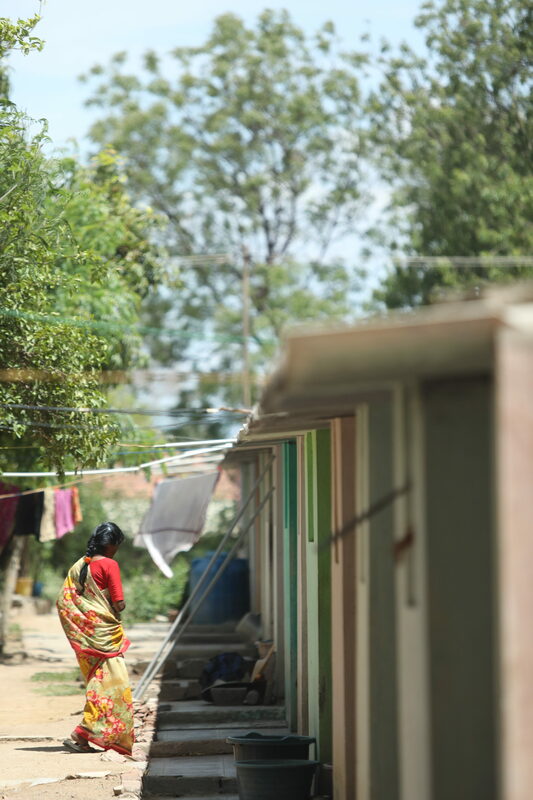 Embrace a Village (EAV) has been serving people affected by leprosy—both patients and their families—since 2003. 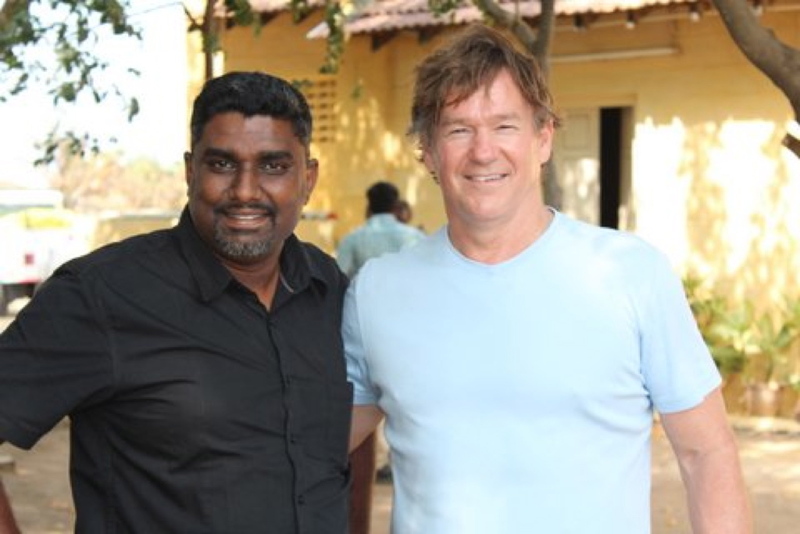 Founded by Joe Clendenny, a St. Louis-area businessman, Embrace a Village has been treating the symptoms of leprosy, administering life-saving medications, and caring for the physical needs of 3500 patients throughout several Tamil Nadu leprosy colonies. 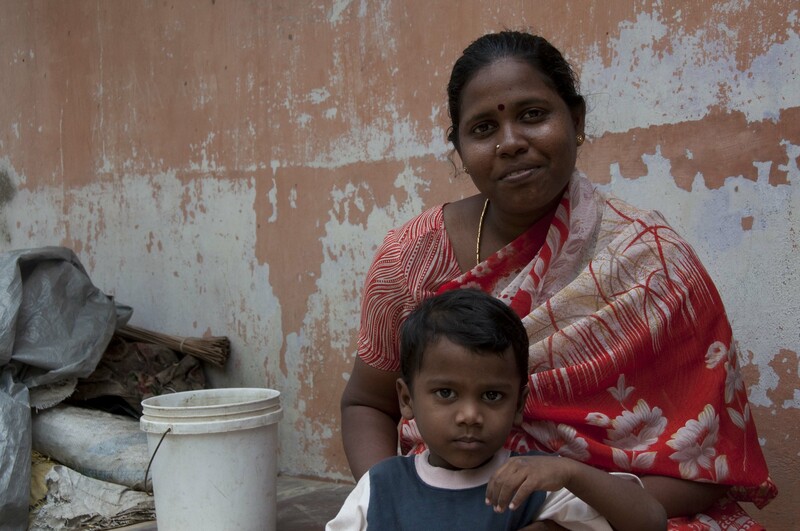 In India, those afflicted with leprosy are shunned by society. The disease, though not very contagious, is feared as if it is. And those who contract the disease are made to believe it is their fault, further perpetuating the stigma. Though there is a cure, many will put off the readily-available treatment until the disease has progressed. They fear that going to the state-run clinics will put them at risk of being reported to the government, or even to their family, and being exiled to a leprosy colony. Currently, Embrace a Village works in those colonies. They bring rehabilitative medical care to people at all stages of leprosy. Cleaning and binding frequent wounds and ulcers caused by the disease. Bringing fresh bandages and medical information to patients in their homes. Employing an on-staff cobbler to make custom shoes for wounded and disfigured feet. Children who live in leprosy colonies need help as well. Even though they are healthy, they are stigmatized by the disease and turned away from schools. Growing up in poverty, they often lack access to a quality education. Embrace a Village is there for them, providing after-school education and nutrition for young people who are now thriving and preparing for college. And just this year, EAV has dug an 800-foot borewell at their hospice and rehabilitation center. They’ll be able to provide plentiful clean water (25,000 liters daily) for their people, but there is still a need. In order to free themselves from expensive and inconsistent power, they are poised to purchase a solar-powered generator to provide consistent clean water. Several young people, who come to Embrace a Village early in their diagnosis, have a good chance of making a full recovery. But because of the irrational stigma attached to leprosy in India, many can’t go back home and receive the continued medical care they need to stay well. A vegetable garden for raising tomatoes, radishes, cucumber, green chili beans, and brinjal (eggplant). Livestock, including chickens and rabbits. Jobs for young people who want to work but may not get an opportunity in their hometowns. All this is possible, but not without your help. Embrace a Village is raising $5500 for a solar-powered generator right now to produce clean water where it is desperately needed. 100% of your donation will go to the purchase of this necessary piece of equipment. Right now, we all have the power to bring hope, help, and plentiful clean water to people affected by leprosy living in Tamil Nadu, India.